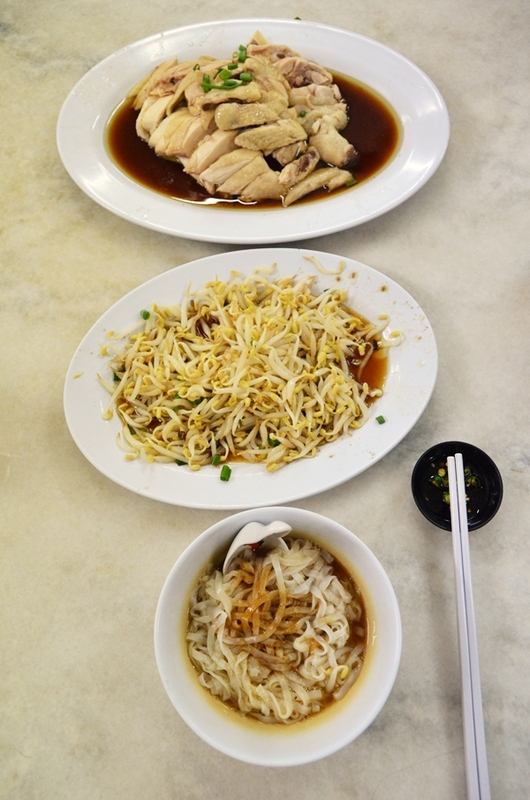 Now, there could be a dozen or so reviews that I have done on Ipoh’s bean sprouts chicken outlets, so you must be wondering when is the next post or rather, where will the next stall be? Although once again, the hankering was more for Cowan Street’s version, but knowing full well that they choose to close for what seems to be 3/4 of the year and from past experiences, they should still take routine, weekly breaks on Mondays and Tuesdays, I would rather save myself the heartbreak. 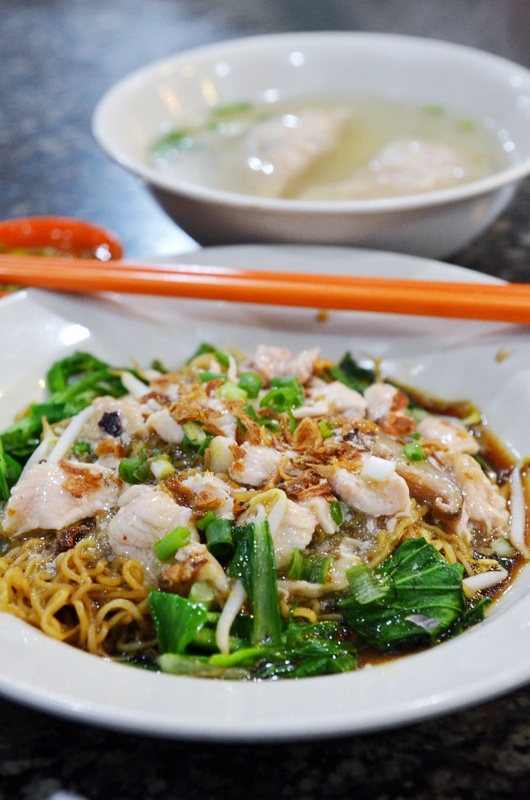 Venturing slightly off the mark towards Station 18 in Pengkalan area of Pasir Puteh, there are a couple of ‘nga choy gai’ (which means bean sprouts chicken) stalls along the main road, located on the right side of the main road after passing by the crossroad traffic lights. It could be our culture or how we were brought up believing that salads are appetizers and can never be a proper replacement for a satisfying, protein and carb-laden feast. Hence, we found ourselves at the constant mercy of nasi lemak mak cik’s, nasi kandar sellers and occasionally, succumbing to temptation (and to some extent, convenience) of fast food outlets whenever we want a quick lunch within walking distance from the office. 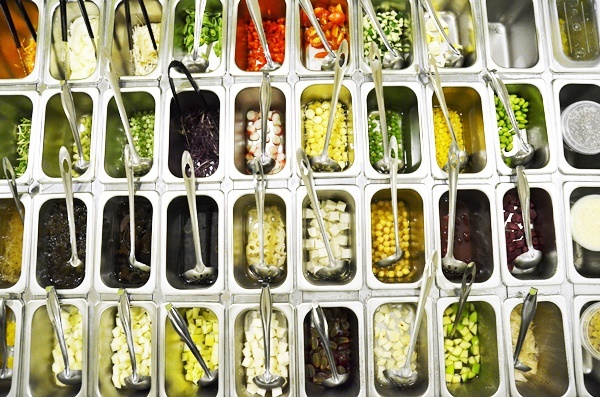 Salad bars were almost unheard of in the Klang Valley, let alone in Ipoh. 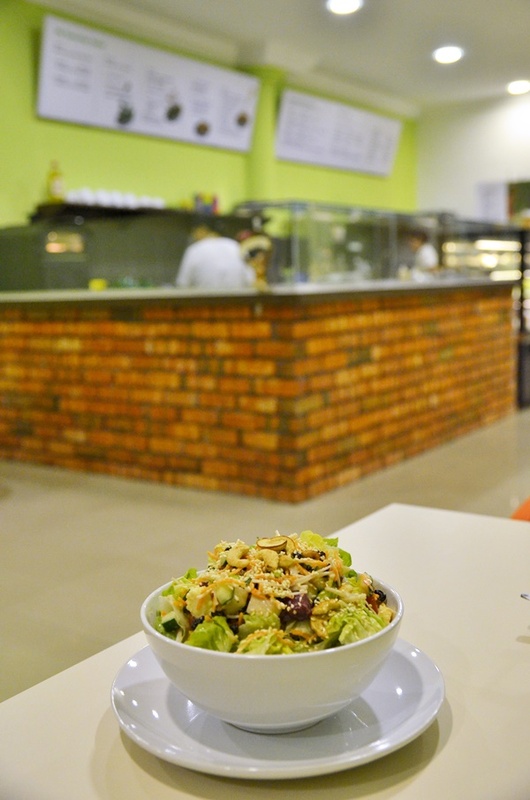 But few years back, I was introduced to The Salad Bar in Damansara Uptown, a daring plea to change the way the corporate lunch crowd think and do something about healthy eating. It was going in the right direction, where the place was not only packed during lunch, but still see a healthy (pardon the pun) dinner crowd on weekdays. Although there’s a change in the management team behind the brand (the previous owners sold the business off, in pursuing different goals in life possibly … but they did make an impression with TSB, no less), traffic was still healthy the last I checked. This article was first published in Crave section in The Malay Mail Sunday edition. Read it HERE. One of the perks, if you can call it that, of living in Ipoh is the abundance of great spots for breakfast on Sunday mornings. Aside from the usual suspects ie. dim sum restaurants, white coffee specialists in Old Town and the super-crowded curry mee (Xin Quan Fang) and hakka mee (Paris Restaurant; formerly Yin Yau Kui) stalls situated a few shops apart on Hugh Low Street in town, there are a few lesser-known names tucked away within the neighbourhood. The kopitiam that introduced me to, and subsequently left me in awe and completely head over heels in love with, pulut kaya is this resilient humble coffee shop named Keng Nam at the end of Cowan Street. 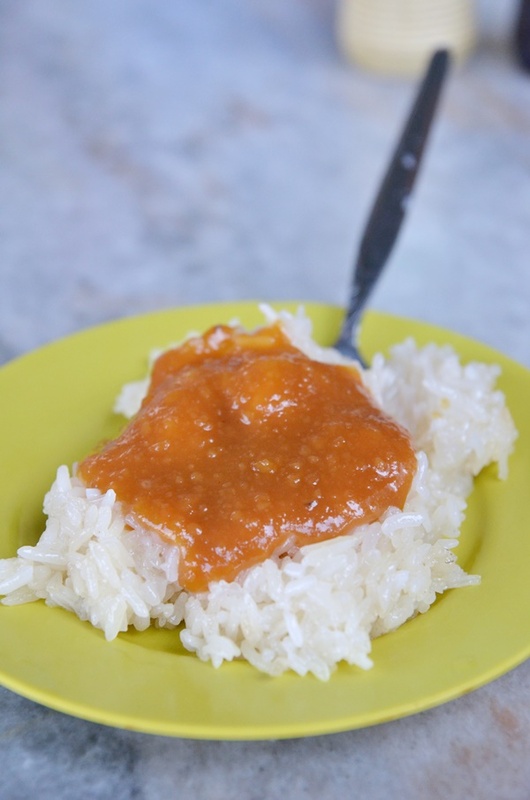 Pulut kaya or steamed glutinous rice served with coconut jam (or kaya, the quintessential Asian jam) was a crowd puller at Keng Nam back in the late 80s up to the early 90s, and still is enticing new fans and loyalists after all these years. I mean, it’s not hard to see why. The ability to steam the glutinous rice to a perfect texture; neither too hard or soft and sticky is a tricky skill to master but the old lady has never faltered when it comes to sustaining the quality. And the spoonful of golden, creamy kaya on top of every serving is the icing on the cake. The coconut and egg jam has quite an intense fragrance from the screw pine leaves (pandan) and just the right level of sweetness that leaves one craving for seconds after mopping up a plate in record time. But really, the portion is meant for a light snack than actual breakfast, so feel free to ask for a second helping. Or a third. No one will judge you. And it is not particularly hard to imagine why I was so enamoured by the taste when I was a kid back then. Sweet, creamy kaya paired with chewy bits of sweetened glutinous rice. A dream come true for the sweet-toothed, no doubt. After a lengthy period of hiatus between visits to Thum’s Western Food stall, the sweet memories of munching on their freshly deep-fried, crispy onion rings and chewing on chunky cuts of pork cutlets marinated with a dash of pepper, worchestershire sauce and probably a pinch of ‘passion’ came washing over me. 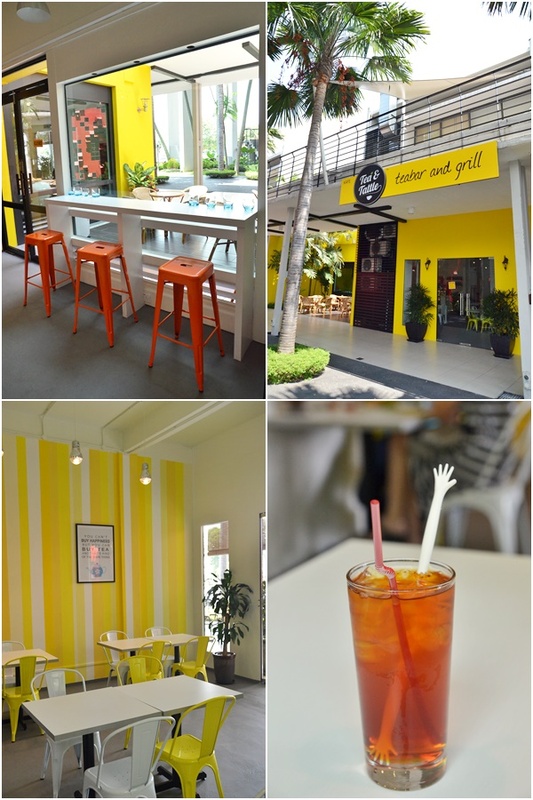 If you ask me where to go for classic, no-frills, locally-interpreted and somehow modified Western fares, then Ipoh Garden South should be your playground. I previously wrote about Thum’s, Alan’s and Scotch Pub’s; all three stalls in the same league of cheap Western cuisine situated within walking distance from one another. And hence on a rainy Saturday evening, when the entire family was not in the mood for adventurous food excursions (read: lazy to venture far), we settled for Sun Weng Fatt; the corner shop housing Thum’s in Ipoh Garden South. But then again, you need to remember that Thum’s does NOT start operating until well after 7pm. 6.45pm if you’re lucky or they feel like it. And we arrived early about 6pm. But this kopitiam is more than mere one trick pony. We shall see what Motormouth had despite the initial disappointment of not able to satisfy his insatiable appetite for sweet onion rings. I received an email from a long-time reader recently, a friendly reminder on the urgency for Motormouth to restore his initial passion to share new eateries in Ipoh rather than dwelling on the same old hawker favourites that should have been public knowledge by now. In short; stop writing again and again about Lou Wong, Foh San, Sin Eng Heong, Xin Quan Fang and Sin Yoon Loong. Point taken, and thank you for the email. However, allow me to defend my selection of topics recently. Since moving away from Ipoh to Kuala Lumpur almost 4 years back; and subsequently to Singapore few months ago, there is nothing more rejuvenating and inspiring than paying a visit to the old timers in Ipoh; the surviving decades-old establishments that you could argue having been immortalized as legends anyway and need not another review. If you can call my ramblings that, anyway. But to me, revisiting the same old favourite haunts since childhood days was a never chore. Or a bore. And the stories never got old when retold from different perspectives or stages of life. The selection of tea at Tea And Tattle is astoundingly rich; almost 120 types (!) 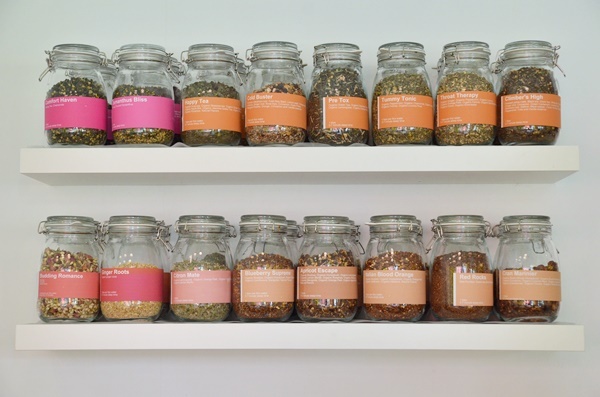 of black, green, floral or wellness tea, categorized into various groups suited for almost any time of the day, any mood and even any ailment. 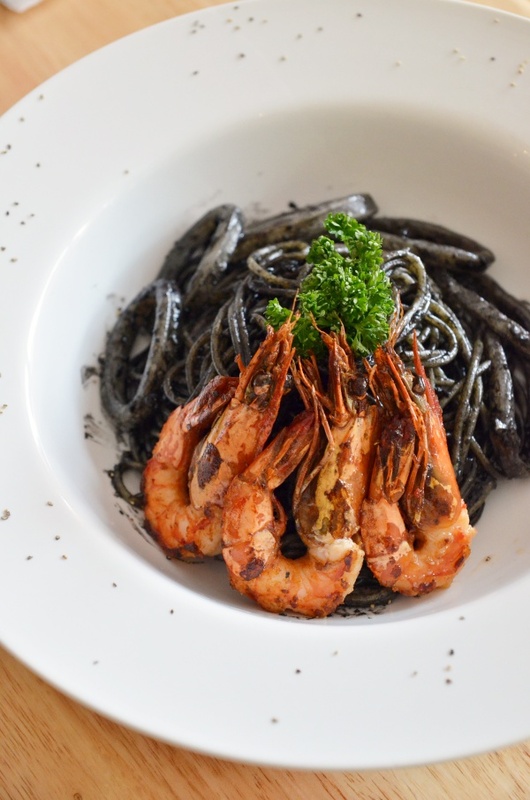 It could be the fact that most of the newer cafes or restaurants that have mushroomed since the recent year or two have been paltry affair; with nary more than a handful of noteworthy ones deserving repeated visits. Or introduced to foodies from the outer states, or even international holiday makers. I for one, would never thought of doing a café hop in Ipoh when there are multiple replicates of them back in Klang Valley, Penang or even Singapore. This article was first published in The Malay Mail. Read it HERE. 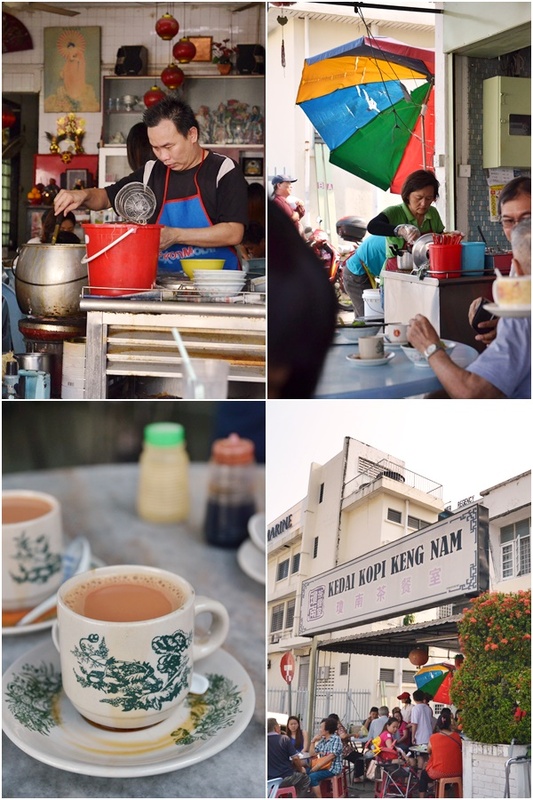 Nestled within the centre of what has increasingly been acknowledged as the tourist hub of the city where you can literally walk to famous food outlets like Lou Wong Bean Sprouts Chicken, Sin Eng Heong kaya puffs, Aun Kheng Lim salted chicken and Funny Mountain Soya Bean, is this decades-old coffee shop named Loke Wooi Kee (LWK). The name might sound unfamiliar to those not born and bred in Ipoh; the looks of the unassuming corner lot may not seem appealing at first glance, but this establishment has definitely stood the test of time and outshines so many other newer kopitiams or food courts that came up in recent years. I still remember how our family used to visit LWK back in the early 90s for the Hor Hee stall. 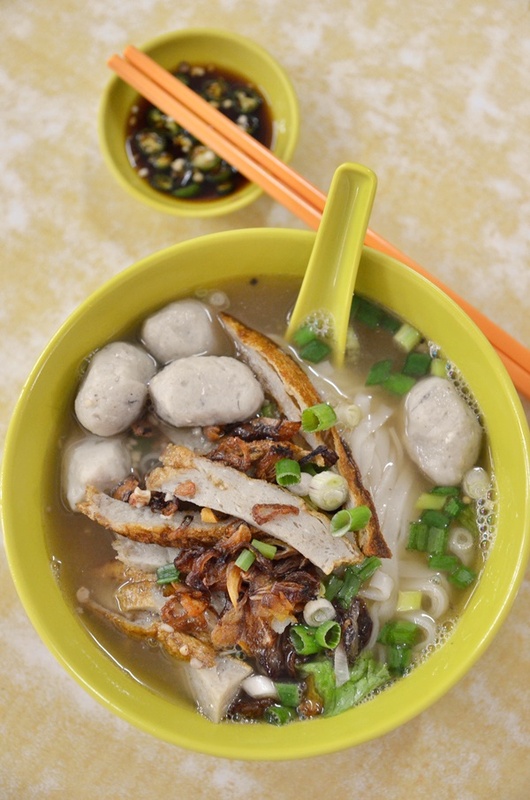 I was brought up tasting my first bowl of the comfort food at this shop, before gradually learning about the existence of other outlets serving the same, e.g: See See Heng at Embassy Restaurant and Hotel along Chamberlain Road, Li Heng Fatt in Old Town etc. We discussed for numerous times about the invasion of coffee culture in Ipoh since a year or so back, spearheaded by the Ipoh old town rejuvenation exercise and influence from neighbouring cities like Penang and Kuala Lumpur perhaps. Earlier this year, we witnessed a paradigm shift in our ‘yum cha’ marathon; an extremely common practice during Chinese New Year. Youngsters and even families flocked to cafes instead of modern kopitiams (eg. the Old Town White Coffee outlets) or hawker spots. But then again, what can you do in Ipoh aside from continuous eating/drinking/catching up sessions, and where else to go but air-conditioned establishments to avoid the heat? Fast forward ten months later, and I admit that I am a bit surprised to see that most (if not all) of the new blood in Ipoh café scene still possess a resilient staying power; amidst my initial reservations on sustainability and survivability against the Ipoh hawker heroes.